Our Taupe color is a classic shade which you can't go wrong with. These women's espadrilles have a 2.75 inches heel and a small peep toe as well. 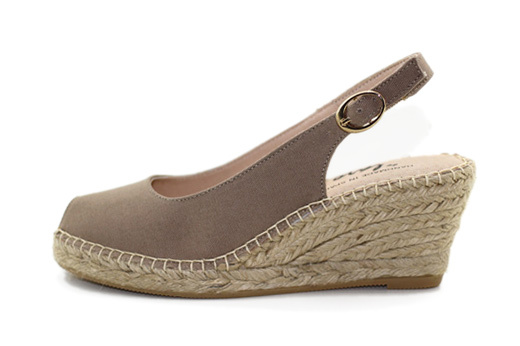 Handmade in Spain, Laro Espadrilles have the traditional braided jute lining and have vulcanized rubber soles.